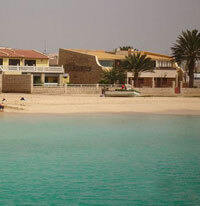 Rents: Can landlord and tenant freely agree rents in Cape Verde? The landlord and tenant are free to agree on the rent, and the payment date. In the absence of other contractual provisions, rent is paid on a monthly basis, and no later than the eighth day of the month. If the lease contract is silent on the method and terms of rent increases, the landlord may increase the rent only after five years of contract. The statutory maximum annual increase is, in any case, a twelfth of the gross income generated by the property. The tenant is entitled to refuse the rent increase, in which case he is allowed to unilaterally terminate the contract with one month's prior notice. The landlord is not allowed to demand more than one month's rent in advance. 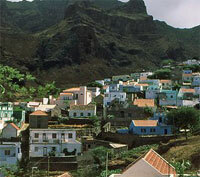 What rights do landlords and tenants have in Cape Verde, especially as to duration of contract, and eviction? The landlord's rights are exceptionally weak. Landlord and tenant are free to agree on the duration of the contract, but if they fail to do so, a six months' term applies. In either case, the lease period is automatically renewed for equal periods of time, unless the tenant serves the landlord a termination notice. if the tenant's household continues to reside at the property. The lease does not terminate upon the tenant's death, but automatically transfers to the spouse or, if such next of kin is no longer alive, to the parents or children living with the tenant for more than a year at the time of his/her death. Execution of works at the property so as to increase the number of leasable spaces. In these cases, the landlord is required to compensate the tenant for the eviction of the premises. In case (a) above, the judge may evict the tenant only if: (i) the landlord has at the time of filing the eviction request been the lawful owner of the property for more than five years or otherwise inherited same; (ii) has not owned, or been a tenant of a property located in the same borough for more than a year; and, (iii) has not used the same grounds for eviction on previous occasions. The regime for termination of the lease agreements and increase of rents are not applicable to leases for vacation purposes during short periods of time. How effective is the Cape Verdean legal system? The tenant can substantially delay his eviction. The duration of an eviction trial takes roughly six months, though the proceedings are expedited if the basis of the eviction is non-payment of rent and the tenant does not pay the rents and compensation due upon the filing of the eviction request. If the tenant appeals the judicial court's eviction order, the High Court of Appeals will also take approximately six months to rule. If both the judicial court and the High Court of Appeals rule in favour of the landlord and the tenant does not vacate the premises, the landlord is required to lodge enforcement proceedings and, in this scenario, one may expect another period of six months until the tenant is forced to vacate the property. In spite of this, in certain cases such as those involving elderly tenants or large households, the enforcement proceedings may take longer than expected. Cape Verdean residential tenancy laws are contained in articles 1019 et sequitur of the Civil Code, approved by Decree-Law 47.344, of 25 November 1966, as amended by Decree-Law 12-C/97, of 30 June 1997. Prior to the enactment of the Civil Code, the residential tenancy laws of Cape Verde were set forth in Decree 43.525, of 7 March 1961, which contained a substantially similar legal framework to that established by the Civil Code. 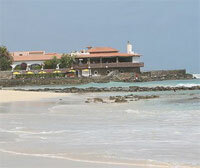 How high are estate duties in Cape Verde?